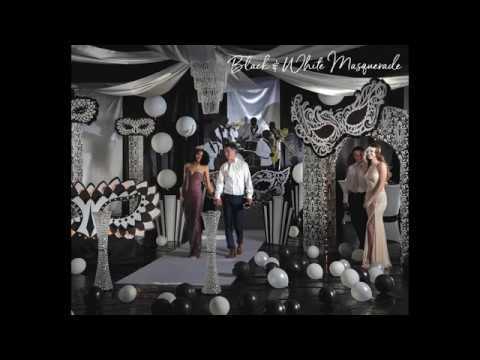 Use our ​Black & White Masquerade Theme Kit to unmask an elegant and mysterious event. Jazz up any event with our Black & White Masquerade Theme Kit. This decorating kit includes an arch, mask props, jazz player standees, and more. The ​Black & White Masquerade Theme Kit Perfect for prom, homecoming, corporate events, or even Mardi Gras celebrations. Assembly required.